Holland America Line guests can experience America's Test Kitchen's enticing selection of live onboard cooking shows and hands-on workshops. Holland America Line guests can experience America's Test Kitchen's enticing selection of live onboard cooking shows and hands-on workshops. Learn foolproof techniques and user-friendly recipes for making delectable dishes with confidence. 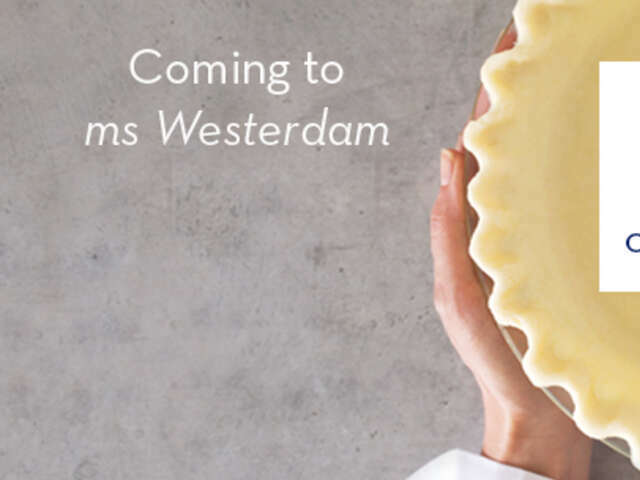 This new culinary programming will begin aboard ms Westerdam October 18 for the ship’s Mexico season and on ms Nieuw Amsterdam November 13 for the Caribbean season. The program is expected to roll out fleet wide by June 2017. Join your America’s Test Kitchen host for any of eight 45-minute cooking shows and four 90-minute hands-on workshops created especially for guests. Topics ranging from shaping Asian dumplings to making the perfect pie crust — will combine foolproof, accessible recipes and cooking techniques that are rooted in the rigorous testing and science-based approach of America’s Test Kitchen.